It isn’t all work and no play with Dr. Hai Lai. When he isn’t working to improve King Dental and the services it offers to adults and children, he enjoys spending time with his family. He and his wife enjoy family time with their two young children. Dr. Lai also likes to spend some of his free time painting art. Both his professional qualifications and intense feelings about patient care create a unique environment. 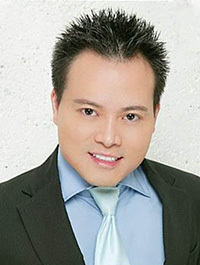 Dr. Lai is committed to listening to his clients, educating them in regards to their treatment options, and making the dental environment as soothing and restorative as possible. He is quoted as saying,” treat others as you want to be treated.” This simple phrase is the keystone to his philosophy for treating clients of all ages.